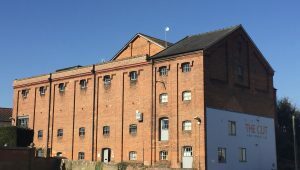 INK Festival 2019 opens on Friday 12th April and is open daily from 9.30 am. 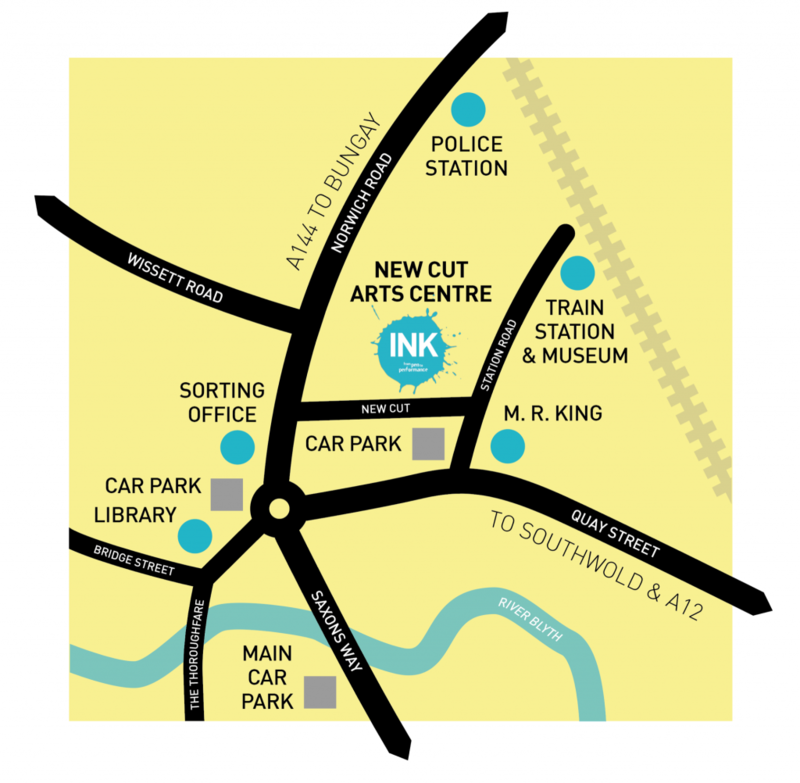 The Festival headquarters is at The Cut, New Cut, Halesworth, Suffolk, IP19 8BY and this is where you should arrive to, collect tickets, wrist bands, programmes etc. The majority of our performances take place in The Cut but this year, for the first time, we have performances spaces at MR King, the library and museum. The Cut is three minutes walk from the station, parking is restricted, so please use a car park marked on the map. If you need help with access or parking please contact Tor@inkfestival.org – 01986 872555. The Cut Cafe will open at 9.30am each day serving light breakfasts, coffee, cakes and quick lunches, as well as lots of drinks. Upstairs on level 2 in The Gallery we have Cafe 51 from Southwold serving delicious lunches with fresh salads, cakes, desserts, drinks and lots more. The Suffolk Coffee Company will be serving freshly roasted coffee, tea and chocolate. This is a quiet space with lots of seating to relax between performances. There is a huge selection of places to stay close to Halesworth. If you wish to book a cottage for the weekend try Best of Suffolk or Suffolk Secrets who both have a great selection of properties in the area. The seaside towns of Southwold, Aldeburgh and Walberswick are all within a 20 minute drive.